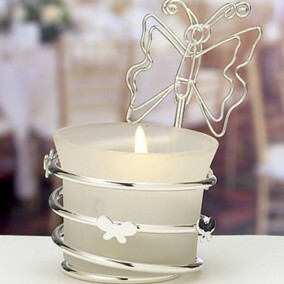 Nothing gets the party started quite like a little sparkle! 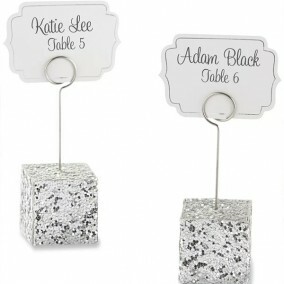 Our Silver Glitter Place Card Holders can really accent your wedding colors in a beautiful way. 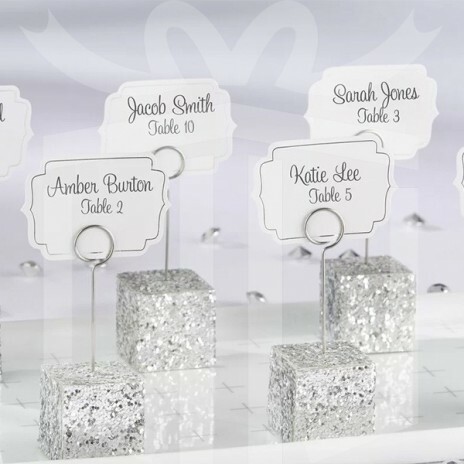 Holding your place cards high for all to see, guests can really get into the celebrating mood when they see the beauty of these silver cube place card holders. 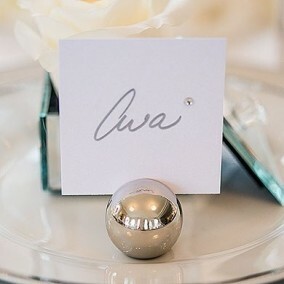 Not just for weddings, you can use these silver table decor pieces to hold photos of the happy couple at a bridal shower or display menu cards at the rehearsal dinner buffet. 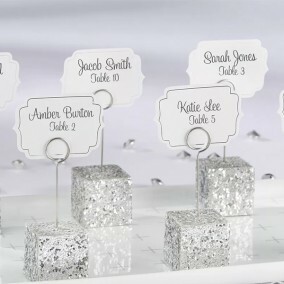 No matter what they are used for, you and your guests will love these Silver Glitter Place Card Holders.